FREE advanced copy of j. d. may’s The Sun Born Over (Von Reuth Publishing, culver & venice, November 15, 2015) in exchange for an honest review! DESCRIPTION: All her life, Chicago-born Vay Jones wished for nothing more than to live in Three Oaks, a charming West Country homestead turned artist commune where she spent all her summers. Three Oaks is also the childhood home of Alan Mackenzie, one of Vay’s closest friends. What started as “just friends” ended up being far more in their teens, until one fateful afternoon separated Alan and Vay completely. Haunted by their summers together ever after, both try their best to move on. Over the years, their paths cross repeatedly, inevitably disrupting their attempts to build adult lives independent from their past. An unexpected encounter finally forces them to reconsider what they know and remember about Three Oaks and each other. How do Vay, an urban romantic brimming with genuine interest and optimism, and Alan, sarcastic and inscrutable, keep themselves from a past that is often far too present? Is there really such a thing as a love that lasts, possibly forever? 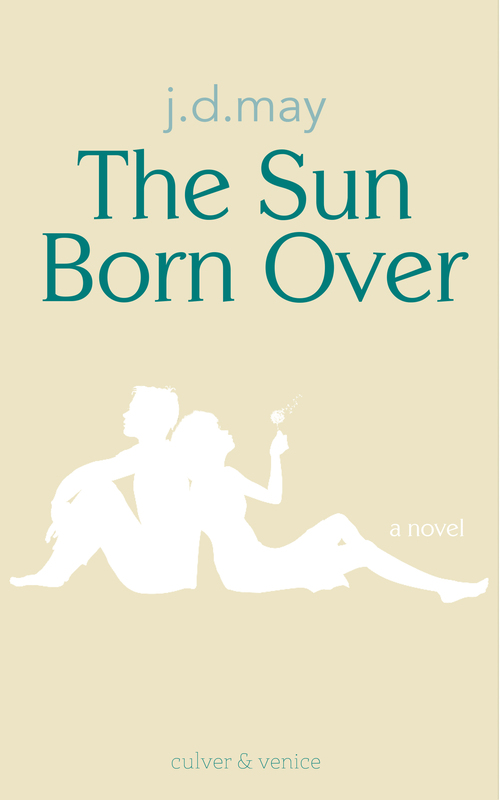 A beautiful novel of how innocence turns into experience, The Sun Born Over is a tale of love and loss that warms and breaks the heart. A truly unputdownable, wonderful read. AUTHOR BIO: j. d. may grew up on three different continents and has a degree in English Literature, which, she is happy to say, made her love reading and writing even more. When she isn’t traveling the world, j. d. works in higher education, where she has great discussions about books, life, and coffee. In her free time, j. d. loves to go for long walks, browse in bookshops, and find hidden cafés. The Sun Born Over is j. d. may’s debut novel. Well the cover certainly seems interesting. So does the premise. I presume the copy is an electronic one? Yes, the publisher is making a PDF copy available to reviewers. Are you interested? I’d be happy to send you a copy! Great! I just sent you an email. My apologies, I mistakenly called you Jen! I’d love to give this book a nudge. Please do! It’s receiving really great feedback. I’d be happy to give a review. I’m an avid reader and writer myself and the book premise sounds intriguing.